So I have expounded on the more common "Corning Ware" patterns over the last 9 months, but I wanted to touch on some possibly lesser known Corning Ware product patterns. This is mainly because of my love of Centura Dinnerware. For there were Corningware patterns that were designed specifically to match some of the Centura patterns. Granted, originally this glazed pyroceram dinnerware was made to match the Corning ware line, that all changed in the late 60s with the release of Laurel, Summerhill, Lynwood Green and Shangri-la patterns of Centura. The Buffet Server's (B-series) lids were given a little bit of a facelift in 1968. 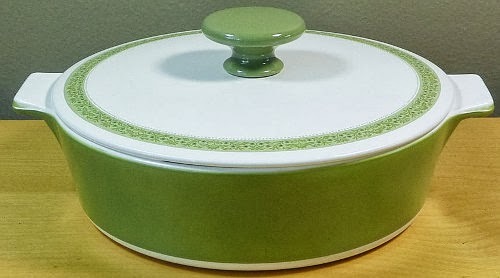 Still being produced of the original Corningware formula in white, avocado and butterscotch, the lids (made of Centura with ceramic knobs) were decorated to match the patterns on the Centura dinnerware.... all these pieces are marked as "Centura" on the bottom instead of "Buffet Server", but the bottom piece is made of Corningware. 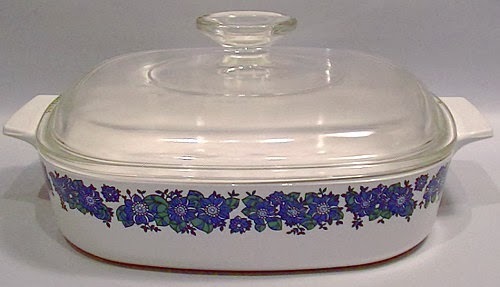 The "Buffet Servers" were revamped for Corningware "Round" and Merry Mushroom around 1973, so the Centura Patterns were moved over to the more common square pattern. 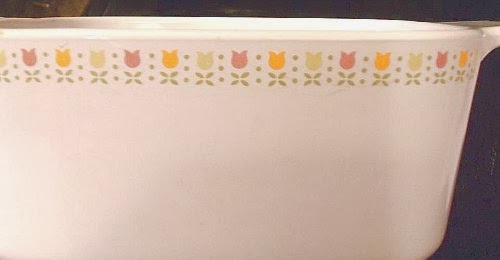 Later patterns only appeared on Square Corningware. 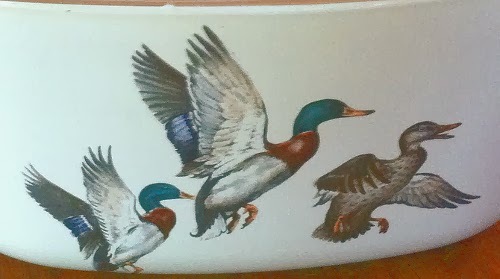 With every post I am amazed at all the Corning Ware that I had never seen or heard of. I really enjoy your posts. Thank you for all the information that you are providing.